Our team Inspired to Achieve (i2a) changes lives everyday. Since 2014, i2a have placed 1,000 people into employment but that's not all they do! With careers advice, guidance and information, the team can also support with volunteering, training, upskilling, getting a better job and ultimately reaching your potential. They even help with self-employment. Like they did for Richard. 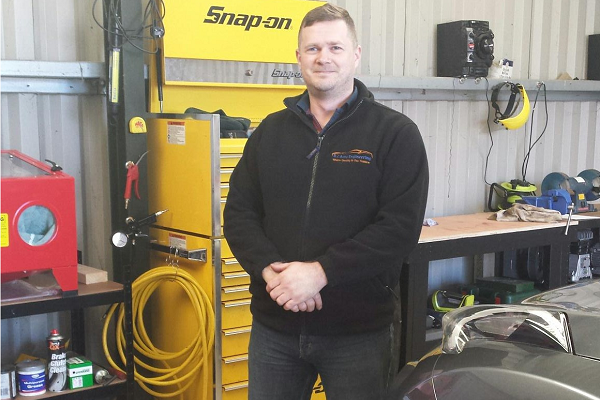 Richard has always dreamed of running his own automotive business. When he was made redundant before Christmas, Richard was given that chance. Richard's Community Partner encouraged him to call i2a where it became clear to the team that he had an impressive business plan, so the team researched specialist advice, support and funding to help make his dream a reality. Richard joined the New Enterprise scheme through the Government's DWP to access a mentor who could advise him and an allowance to gradually start to trade. Even with a substantial start up loan, Richard still needed more money to get his business off the ground. Seeing Richard's passion and determination, i2a funded the shortfall through their Ambition Fund and Positive People contract. This allowed him to secure premises and all the equipment to get RJ Auto Engineering up and running. "I can now do what I have dreamed of doing and am now in control of my own future. Working with i2a has made be feel confidence, happy and like i am worth something. I would definitely recommend them to others who have a dream like me." RJ Auto Engineering will be trading from the beginning of May. Do you have a dream? Get in touch with i2a to help make it come true. Email them, call 01935 404075 or get in touch through My Yarlington.